CB 001. 40’S tea bags , 100 gr . box. CB 002. 80’S tea bags , 200 gr. box. CB 003. 160’S tea bags, 400 gr. box. Carmién organic natural rooibos is a superior well-balanced tea with a natural full aroma and soft sweet taste. Excellent when on a low kilojoule diet. CB 004. ORGANIC ROOIBOS POUCH 100’S teabags , 200 gr. CB 005. ORGANIC ROOIBOS LOOSE TEA 200 gr. Cherry Orange is the rooibos blend, flavoured with the crisp notes of cherry and orange to bring you the freshness of pure rooibos and buchu from the mountains. TIP: A full-flavoured tea that is a perfect match for a cheese, carrot or chocolate cake served with as a desert after meals or served ice cold with some mint on hot summer days. Blissfull Blackcurrant is a revitalising blend of rooibos and blackcurrant. The delicate sweetness of blackcurrant adds to the natural sweet taste of Carmién rooibos. The aftertaste is fresh and sharply cleansing. TIP: For an aromatic and refreshing drink, enjoy Carmién Blissfull Blackcurrant hot or ice cold. The intense flavour is great in summertime gelatos or cocktails. Creamy Vanilla is an all-time favourite for everyone young to old. The delicate vanilla flavour adds extra richness to the natural rooibos taste. TIP: Vanilla is known to add sweetness and enhance other flavours. Enjoy Carmién Creamy Vanilla with any food, from savoury to sweet, or simply sit back and treat yourself with a cup on its own. Earl Grey Citrus is rooibos delicately flavoured with bergamot, a fragrant citrus fruit. TIP: Carmién Earl grey Citrus pairs perfectly with most dishes, from samoosas to dark chocolate. It is also very refreshing served ice cold with lemon and mint leaves. Delight is a perfect blend of the finest pure rooibos, honeybush, hoodia and buchu. Kalahari Bushmen have been eating hoodia stems for centuries to suppress their appetite while hunting, whereas honeybush and rooibos have been used by traditional tribes for cleansing the digestive system. TIP: To assist a kilojoule restricted diet, start your day with a cup of Carmién Delight followed by a combination of Carmién Refresh, Restore and Rescue throughout your day. Focus is a delicate blend of the finest pure rooibos, cinnamon, ginger, cardamom, cloves and black pepper. Ancient wisdom holds that chai spices naturally heal the body and promote heart health. TIP: This rooibos chai blend has a dynamic flavour that goes well with almost anything, therefore making it an excellent tea to serve with wine and food. Refresh is a perfect blend of the finest green honeybush, rooibos and mint. Made from unfermented leaves, the higher levels of antioxidants help combat free radicals in the body. TIP: Best served as a refreshing breakfast- or after dinner tea. For an extra special cup of tea, combine with Carmién Delight or Carmién Creamy Vanilla. TIP: Whilst being a perfect evening tea to relax before bed, its is also great when combined with Carmién Vanilla Rooibos and enjoyed with food & wine. Rescue is a perfect blend of only the finest buchu and rooibos, both native to South Africa. Indigenous communities of our country have been using buchu for centuries to treat a wide range of ailments such as urinary tract infection, PMS, water retention, arthritis and prostate infections. TIP: Drink while travelling or during long distance flights. *If pregnant or breastfeeding, please consult your doctor before taking Carmién Rescue. Restore is a perfect blend of the finest rooibos, lemongrass and only a hint of ginger. This unique combination is based on the age-old wisdom of Asian and African healers who have used l lemongrass and ginger to relieve nausea and indigestion. TIP: This tea blend is excellent with food, like curry dishes, fish and vegetables. Sleepy Time, only the best for you and your child, and is a naturally sweet tasting tea with a soothing and relaxing effect, assuring a good night’s rest for the whole family. Ingredients: Rooibos, Honeybush, Calendula flowers, Dried Orange Peel & Dried Fruit, Rosehip, Cinnamon, Cloves, Nutmeg, Blackpepper, Aniseed, Lemongrass & Natural Flavour. Ingredients: Rooibos, Honeybush, Calendula, Rose Buds & Rose Petals, Rosehip, Lavender, Forest Berry Blend, Hibiscus & Orange Peel. CG 004. PREMIUM GIFT COLLECTION – 6 Rooibos Flavoures in single pyramid teabags boxes (6 x 2.5 gr.) box. Blend, Hibiscus & Orange Peel. INGREDIENTS: Rooibos. 20’S tagged teabags in envelopes, 40 gr. Box. Ingredients: Rooibos, Lemongrass (10%) 20’S tagged tea bags in envelopes, 40 gr. box. Ingredients: Rooibos,Honeybush leaves (33%) 20’S tagged tea bags in envelopes, 40 gr. box. Ingredients: Rooibos, Spices (10%) (Cinnamon, Ginger, Black peppercorns, Cardamom, Cloves) 20’S tagged teabags in envelopes, 40 gr. box. Ingredients: Rooibos, Chamomile flowers & leaves (20%) 20’S tagged teabags in envelopes, 40 gr. box. Ingredients: Rooibos, Buchu (5%) 20’S tagged teabags in envelopes, 40 gr. box. Ingredients: Rooibos, Sutherlandia frutescens leaves 20’S tagged teabags in envelopes, 40 gr. box. AD 009. ROOIBOS 40’S teabags Foil 100 gr. AD 010. MANGO flavoured 40’S teabags Foil 100 gr. AD 011. MANDARIN flavoured 40’S teabags Foil 100 gr. AD 012. BLACKCURRANT flavoured 40’S teabags Foil 100 gr. AD 013. STRAWBERRY & VANILLA flavoured 40’S teabags Foil 100 gr. AD 014. APPLE & MINT flavoured 40’s teabagsFoil 100 gr. AD 015. Two different flavoured 40’S teabags Foil 100 gr. in the gift box – total 200 gr. AD 016. ROOIBOS 40’S tea bags in two foil pouches 100 gr. box. KB 001. ROOIBOS 20’S string & tag double-chamber teabags, in envelopes, 40 gr. box. KB 002. ROOIBOS VANILLA 20’S string & tag double-chamber teabags, in envelopes, 40 gr. box. KB 003. GREEN ROOIBOS 20’S string & tag double-chamber teabags, in envelopes, 40 gr. box. KB 004. ROOIBOS CHAI 20’S string & tag double-chamber teabags, in envelopes, 40 gr. box. KB 006. ROOIBOS CHAMOMILE 20’S string & tag double-chamber teabags, in envelopes, 40 gr. box. KB 007. ROOIBOS EARL GREY 20’S string & tag double-chamber teabags, in envelopes, 40 gr. box. KB 008. ROOIBOS STRAWBERRY CREAM 20’S string & tag double-chamber teabags, in envelopes, 40 gr. box. KB 009. ROOIBOS 20’S teabags in a foil pouch 50 gr. box. KB 010. ROOIBOS VANILLA 20’S teabags in a foil pouch 50 gr. box. KB 011. ROOIBOS LEMON-MINT 20’S teabags in a foil pouch 50 gr. box. KB 012. ROOIBOS SWEET MULTI-FRUIT 20’S teabags in a foil pouch 50 gr. box. KB 013. ROOIBOS 40’S teabags in a foil pouch 100 gr. box. KB 015. GREEN ROOIBOS 40’S teabags in a foil pouch 100 gr. box. KB 016. ROOIBOS CHAI blue tin, 40’S teabag 100 gr. tin. KB 017. ROOIBOS brown tin, 40’S teabag 100 gr. tin. KB 018. ROOIBOS VANILLA red tin, 40’S teabag 100 gr. tin. KB 019. GREEN ROOIBOS green tin, 40’S teabag 100 gr. tin. KB 020. HONEYBUSH yellow tin, 40’S teabag 100 gr. tin. KB 021. ROOIBOS VANILLA - LOOSE self-standing, re-sealable zip-lock eco bag 250 gr. KB 022. GREEN ROOIBOS - LOOSE self-standing, re-sealable zip-lock eco bag 250 gr. KB 023. HONEYBUSH - LOOSE self-standing, re-sealable zip-lock eco bag 250 gr. KB 024. ROOIBOS - LOOSE self-standing, re-sealable zip-lock eco bag 250 gr. KB 025. BUCHU - LOOSE self-standing, re-sealable zip-lock eco bag 250 gr. KB 026. ROOIBOS & HONEYBUSH - LOOSE self-standing, re-sealable zip-lock eco bag 250 gr. KB 027. ROOIBOS 20’S teabags in a pouch 50 gr. KV 001. ORGANIC BOURBON VANILLA PODS from Madagascar is the fine quality bakery product. Vanilla consists mainly of water, fat, wax, sugar and cellulose (98%). What is interesting is that 2% consists of approximately 400 different aromatic components as identified so far! This is truly amazing and can only be accomplished by Mother Nature. It is believed that Vanilla has even more aromatic components… the search continues. KS 001. ROOIBOS MOISTURISING SOAP with rooibos extract & glycerine 100 gr. The special formulation safeguards the skin’s natural oils and waxes while keeping it soft and moist. M 001. DRIED MANGO 100 gr., 250., 500 gr. The drying process takes about 14 hours. Fruits are dried at a temperature of about 57ºC. For every kilogram of dried mangoes 13 kg of fresh fruit is needed. The fruits are dried to a moisture content of about 22%. JM 001. Biltong is a variety of dried, cured meat that originated in South Africa. Various types of meat are used to produce it, ranging from beef and game meats to fillets of ostrich from commercial farms. Modern-day ingredients sometimes added include: balsamic vinegar or malt vinegar, dry ground chili peppers, nutmeg, garlic, bicarbonate of soda, Worcestershire sauce, onion powder, and saltpetre. Biltong is a high protein food. Often, 200g of beef is required to make 100g of biltong, and the process of making biltong preserves most of the protein content. Some biltong can have up to 67% protein content. We have different types of a biltong in vacuum packings with long periods of storage in various temperature conditions that is especially attractive to tourists, travelers and yachtsmen. 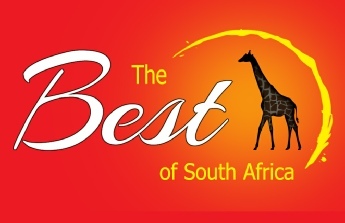 Try biltong, prepared from meat of antelopes of Kudu and Springbok, an Ostrich, and also traditional Beef and Chicken! All meat of the superior quality is also prepared on the HALAAL technology. Packings 60 gr,. 80 gr., 180 gr. Antiseptic properties, cough soother etc. Relieves colic in babies, increase milk production in mothers. Place one bag in a cup with boiling water. Steep for 3 minutes or more if a stronger flavour is preferred. Helps with morning sickness, circulation stimulant, antiseptic, relieve spasms. Please consult the order form (link above) for prices.